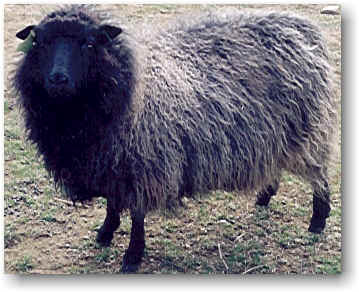 Celtic Kassey, born 4-12-98, is a Shaela (Dark Steely Grey) Ewe with a black face and legs. Her father, *Aviswood Rainman is Shaela and her mother, *Maple Ridge Kara, is Black. 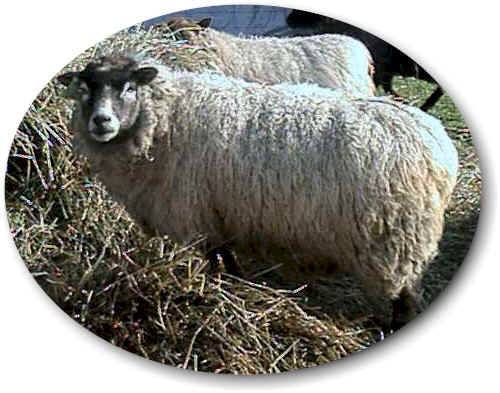 Clover Hill Charity, born 5-15-01, is a Musket (Light Greyish-Brown) Ewe. Her father, *Clover Hill Flealick, is Light Grey and her mother, *Clover Hill Elsie, is Moorit (Reddish-Brown). Clover Hill Evie, born 5-19-00, is an Emsket (Bluish-Grey) Ewe. Evie’s father, *Aviswood Rainman, is Shaela (Dark Steely Grey) Gulmoget and her mother, *Celtic Erica, is Musket (Light Greyish- Brown). 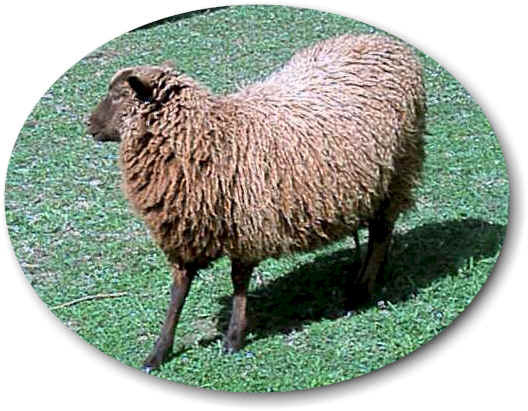 Clover Hill Elyza, born 4-24-00, is a Dark Moorit (Dark Reddish Brown) Ewe. 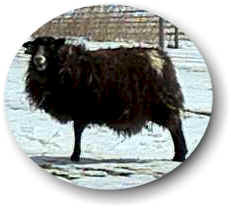 Elyza’s father, *Clover Hill Little Larry, is Moorit and her mother, *Odyssey Edie, is also Moorit. 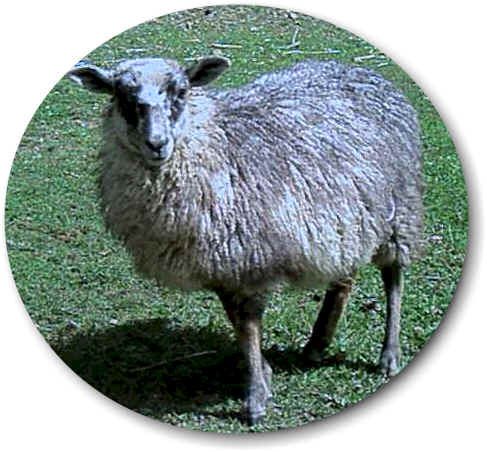 Clover Hill Hope, born 4-18-01, is a Light Grey Ewe. Her father, *Clover Hill Flealick, is Light Grey and her mother, *Clover Hill Lexi, is Mioget (Light Yellowish-Brown). 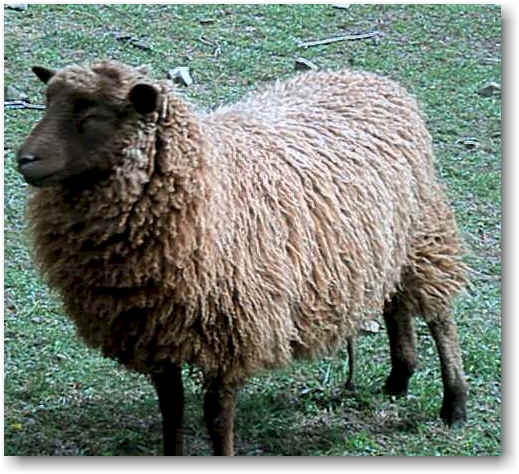 Clover Hill Rainbow, born 3-24-00, is a Fawn Ewe. Her father, *Aviswood Rainman, is Shaela (Dark Steely Grey) Gulmoget and her mother, *Clover Hill Dot, is Mioget (Light Yellowish-Brown). 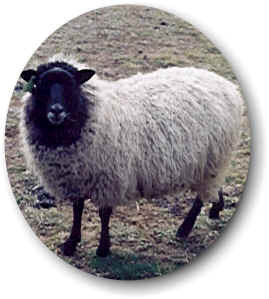 Clover Hill April Showers, born 04-09-99, is an Emsket (Bluish- Grey) Ewe. Her father, *Aviswood Rainman, is Shaela (Dark Steely Grey) and her mother, *Celtic Dynastica, is Fawn. 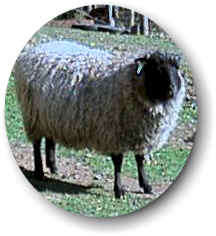 Celtic Sage, born 04-14-98, is a Shaela (Dark Steely Grey) Ewe. Her father, *Aviswood Rainman, is Shaela and her mother, *Maple Ridge Sophie, is Dark Moorit (Dark Reddish-Brown). 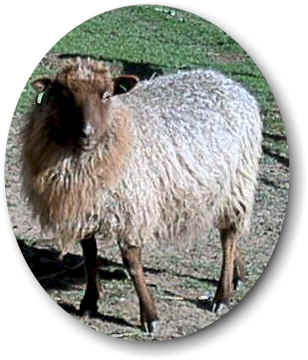 Clover Hill Bethany, born 04-13-02, is a Musket (Light Greyish-Brown) Ewe. Her father, *Clover Hill Flealick, is Light Grey and her mother, *Clover Hill Elise, is Emsket (Bluish-Grey). 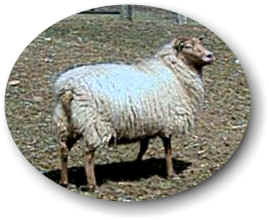 Clover Hill Dixie, born 04-21-00, is a Musket (Light Greyish-Brown) Ewe. Her father, *Clover Hill Little Larry, is Moorit (Reddish Brown) and her mother, *Celtic Danika, is Grey. 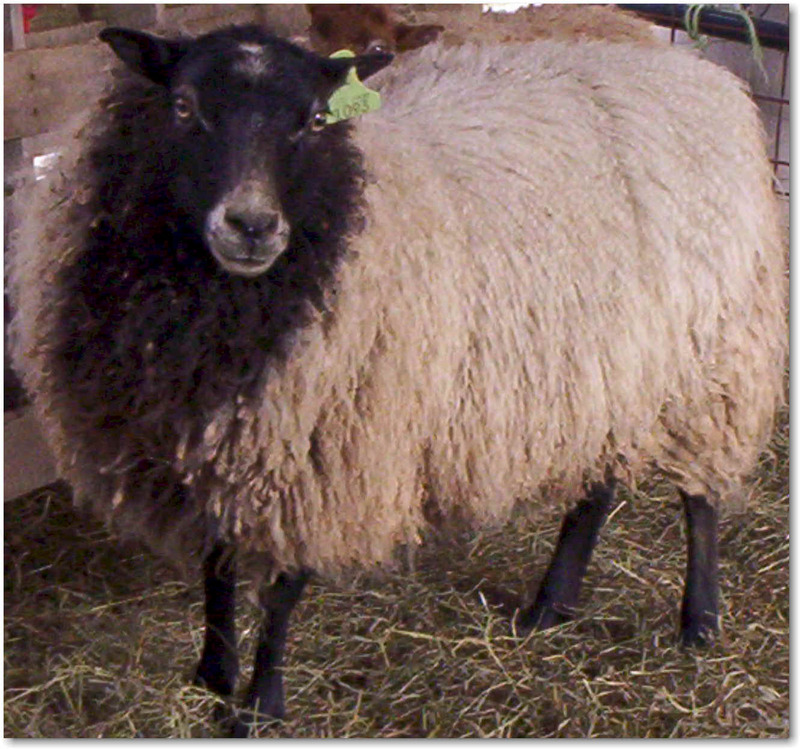 Clover Hill Elaine, born 09-23-99, is an Emsket (Bluish-Grey) Ewe. Her father, *Aviswood Rainman, is Shaela (Dark Steely Grey) and her mother, *Celtic Erica, is Musket (Light Greyish-Brown). 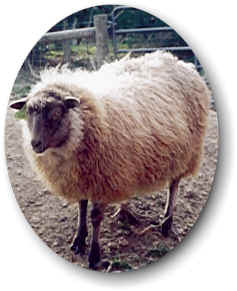 Clover Hill Elizabeth, born 3-27-02, is a Cream Ewe. Her father, *Clover Hill Flealick, is Light Grey and her mother, *Clover Hill Dixie, is Fawn. 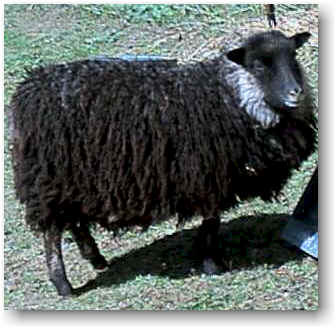 Sean Trubhs Esther, born 04-08-02, is a Dark Grey/Charcoal Ewe. Her father, *Clover Hill Flealick, is Light Grey and her mother, *Clover Hill Elaine, is Emsket (Bluish-Grey). Clover Hill Eve, born 04-10-02 is an Emsket (Bluish-Grey) Ewe. Her father, *Clover Hill Flealick, is Light Grey and her mother, *Celtic Lang, is Shaela (Dark Steely Grey). 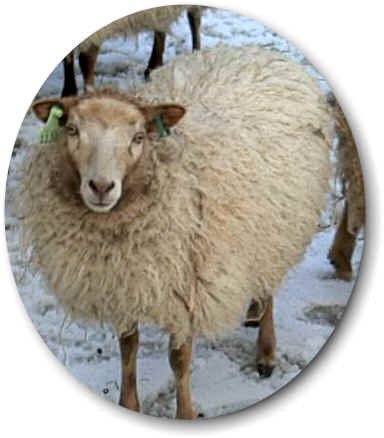 Sean Trubhs 1081, born 04-08-01, is a Light Grey Ewe. Her father, *Clover Hill Flealick, is Light Grey and her mother, *Clover Hill April Showers, is Emsket (Bluish-Grey). 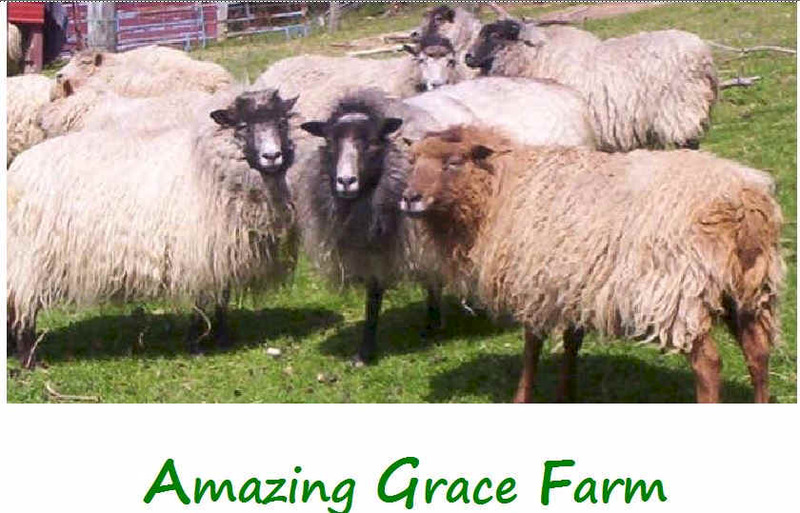 Amazing Grace Hannah, born 04-07-02, is a horned Musket (Light Greyish-Brown) Ewe. Her father, *Clover Hill Sir Charles, is Dark Moorit (Dark Reddish Brown) and her mother, Clover Hill Janelle, is Musket. 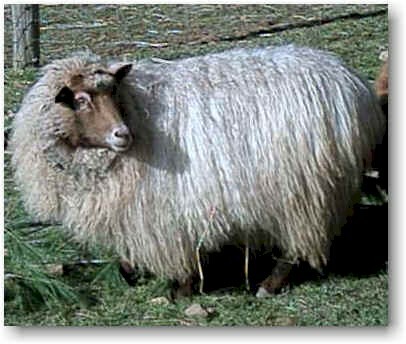 Amazing Grace Sarah, born 04-12-02, is a Cream Ewe. 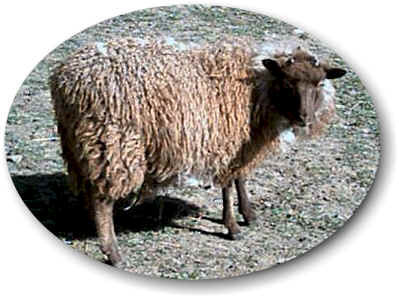 Her father, *Clover Hill Prince Phillip, is Rose Mioget (Yellowish-Brown fleece and rose colored horns) and her mother, *Clover Hill Elyza, is Dark Moorit (Dark Reddish-Brown). 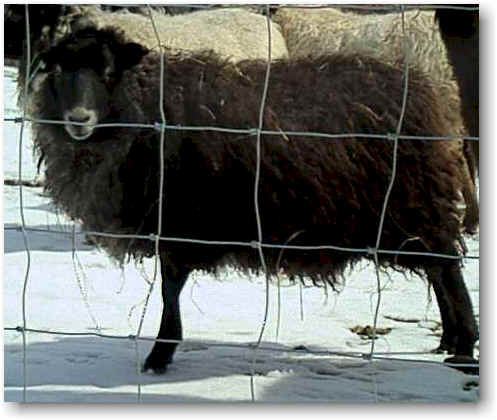 Amazing Grace Faith, born 03-25-03, is a Dark Moorit (Dark Reddish Brown) Ewe. Her father, *Lamb'z Own Micah, is Moorit (Reddish Brown)and her mother, Clover Hill Hope, is Light Grey. 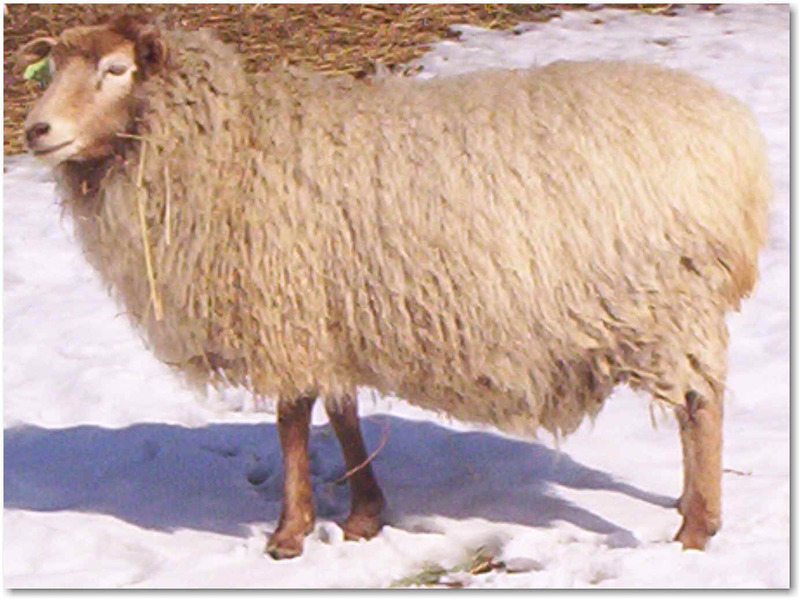 Clover Hill Cassie, born 05-03-99, is a Light Musket (Light Greyish-Brown) Ewe. Her father, *Fletcher Pascaline, is Musket and her mother, *Odyssey Cupra, is Moorit (Reddish-Brown). 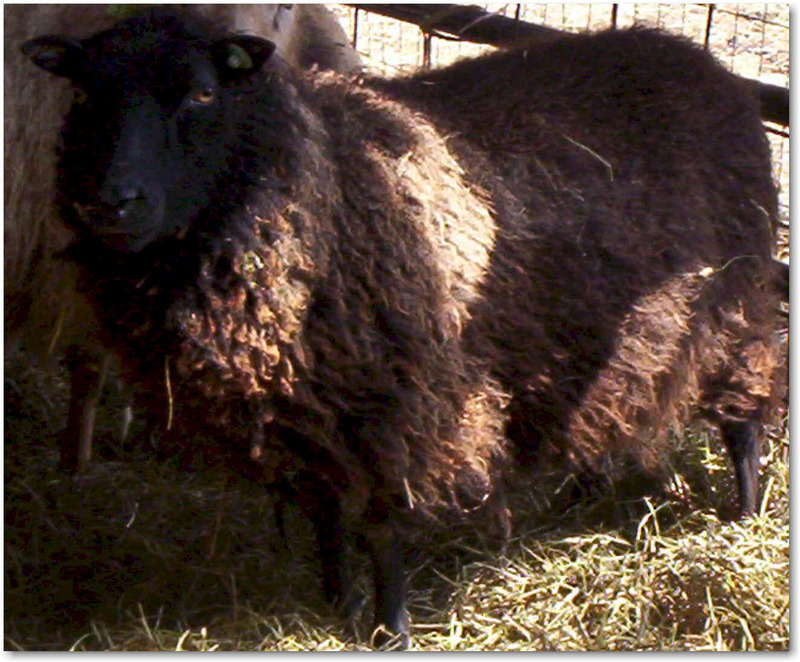 Amazing Grace Spirit, born 03-28-03, is a Dark Moorit (Dark Reddish Brown) Ewe. Her father, *Lamb'z Own Micah, is Moorit (Reddish Brown) and her mother, *Clover Hill Charity, is Musket (Light Greyish-Brown). 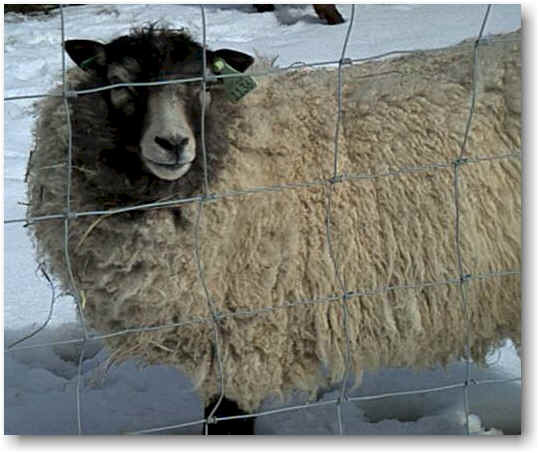 Amazing Grace Jessica, born 05-09-03, is a White Bersugget (White with irregular patches of different colors) Ewe. Her father, *Pine Pod Cedric, is Emsket Bersugget (Bluish-Grey with irregular patches of different patches) and her mother, *Clover Hill April Showers, is Emsket (Bluish-Gray. 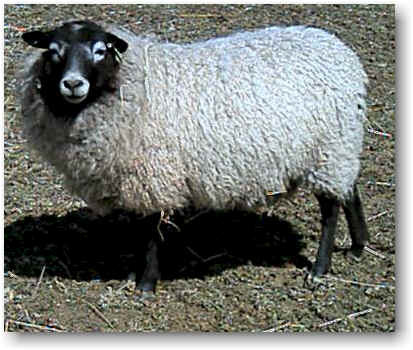 Amazing Grace Joann, born 04-09-03, is a Dark Emsket (Dark Bluish-Grey) Ewe. Her father, *Clover Hill Prince Phillip, is Mioget (Yellowish) and her mother, *Celtic Kassey, is Shaela (Dark Steely Grey). 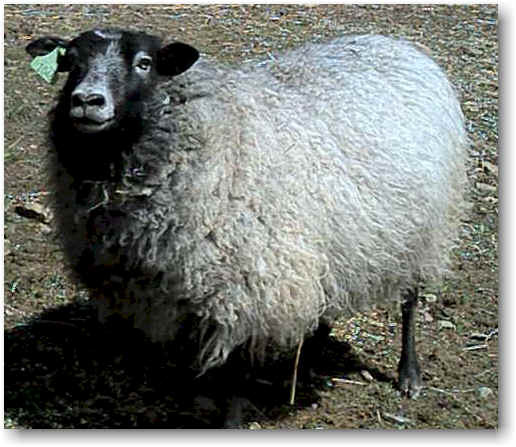 Amazing Grace Julie, born 04-13-03, is an Emsket Bersugget (Bluish-Grey with patches of different colors) Ewe. Her father, *Clover Hill Prince Philip, is Mioget (Yellowish) and her mother, *Clover Hill Evie, is Emsket (Bluish-Grey).